HE WAS TOUGHT by Ralph Humphrey (Zappa), Joe Porcaro (famous teacher), Takashi Numazawa (13 Cats), Casey Scheuerell (session great), Joey Heredia (latin great), Steve Houghton (session great) and more! Studied (Percussion Institute of Technology) and played for about two years in the California area. Published four Drum Books “1.000 Faces of Drum Styles” and “Future Drumming, Drum`n`Bass, House, Jungle” and “Chartreading for Drummers” and two separate Play Along CD`s “Jamtracks for Drummers” through the AMA Publishing Company. They got all international best reviews! His latest book “Pocket Rhythms for Drums” is recommended by Thomas Lang, Wolgang Haffner and Steve Smith! AS A SIDEMAN he works a lot for national and international artists like: Sax Legend Charlie Mariano, Deborah Watson, Touring with the Gregor Hilden Band (outstanding european blues guitar player), Stevie Woods, Rock Legends Geoff Downes and John Wetton (ASIA), Gloria Gaynor (soul legend), Isabell Farell, Catherina Valente, Gitte Hennig, Angelika Milster (Cats), Al Copley (former piano player of the Blues Brothers), Touring with the Prog Rock Group Leez (supporting Queensryche or Dokken), Touring with Jeff Richmann (guitar player along Weckl, Novak, Colaiuta, Shapiro) Touring with Johnny Rogers (international famous Blues Singer), Phillipe Caillat (French guitar player), Touring for the Goethe Institute (Israel, France, Russian), Touring with Big Jay McNeely (honking sax legend from BB King) or playing musicals like Evita, Star Light Express and Hair. 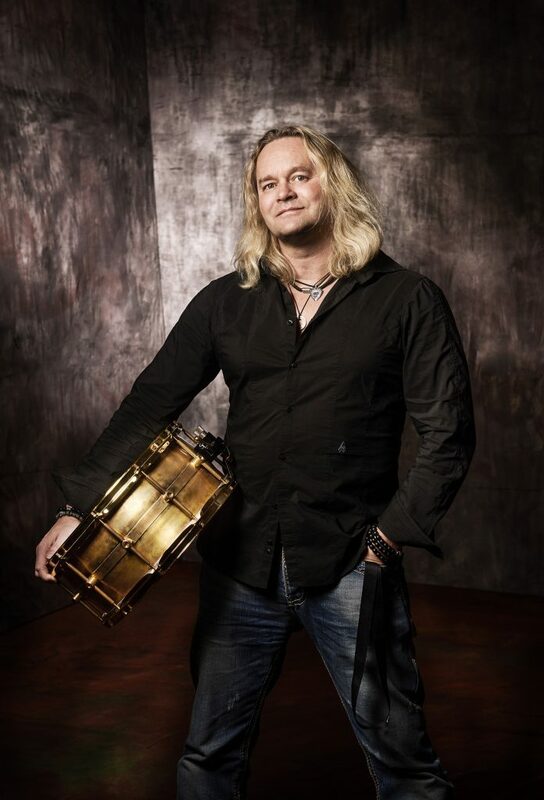 HE IS A TUTOR of the Westfälische Wilhelms Universität Münster and of the Modern Drum School. He played on different drum festivals like “Zildjian Rhythm Night” (along Sonny Emory, Andy Gangadeen), “Drums&Sounds 2000” (Colaiuta, Weckl, Bisquera), “Superdrumming Festival Nonnweiler” (along Mike Shapiro, Marc Schulmann), “Brandenburg Trommelt” (Michael Küttner, Hakim Ludin), or recently “Drums`n`Percussion Paderborn” (along Steve Smith, Marco Minnemann, Rene Cremers), “Tribute to Jeff Porcaro Germany” (Bissonette, Gadd, Zoro), “Drums`n`Percussion Paderborn 2003” (along Chester Thompson, Adam Nussbaum), “Le Bag Show Paris” (along Christophe des Champs) or “Festival TamTam Montlucon” (along french session great Löic Pointhieux), Rhythm in Marktoberdorf (along Hakim Ludin, Johnny Rabb, Russ Miller), and many more! IN MAY 2003 HE INTRODUCED THE DVD “A BAD CONCEPT” THROUGH THE COMPANY “ACOUSTIC MUSIC RECORDS” THIS DVD IS ABOUT HOW TO PLAY IN A BAND, DEMONSTRATED BY GUITAR, BASS, DRUMS…..